CUAC’s annual Utah Ties exhibit celebrates a Utah state of mind. Photo courtesy of CUAC. I have long believed that Utah has a gravitational pull in the creative community. Our breathtaking landscapes have inspired countless artists in all mediums, from visual to performance art, film to literary works. Robert Smithson, famous for his land art, used the elements around the Great Salt Lake as his muse for Spiral Jetty. Inspired by the unique red-violet coloration of the soil that, for him, “evoked a ruined and polluted sci-fi landscape,” Smithson took a piece of land that had been marred by the railroad industry and created an art piece that has protected that area from future industrial ruin and created an iconic art symbol that embodies Utah’s desolate beauty. What makes a Utah artist? Is it lineage, proximity or community connections? Or is it rooted in one’s artistic expression? According to CUAC, it’s all of the above, including a state of mind. 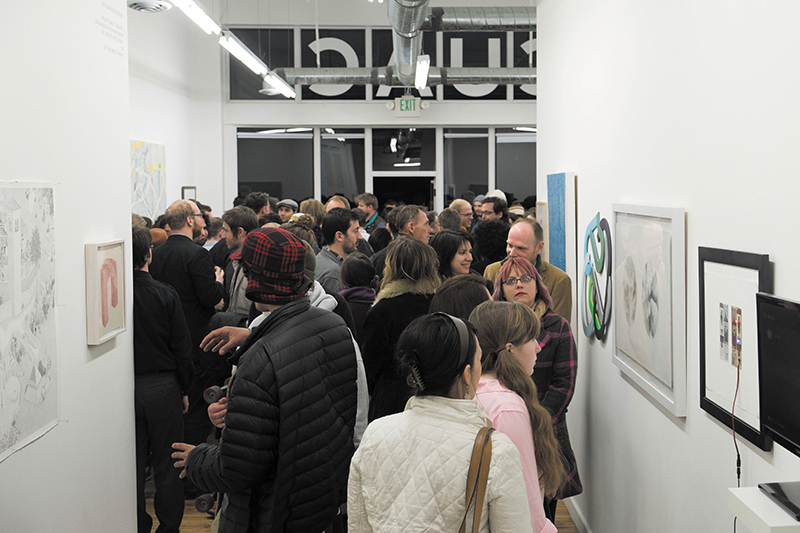 CUAC honors artists connected with Utah at their annual Utah Ties Show, opening March 18. Artists submitted their work throughout the month of February for the chance to be juried by acclaimed artist Rob Greene. 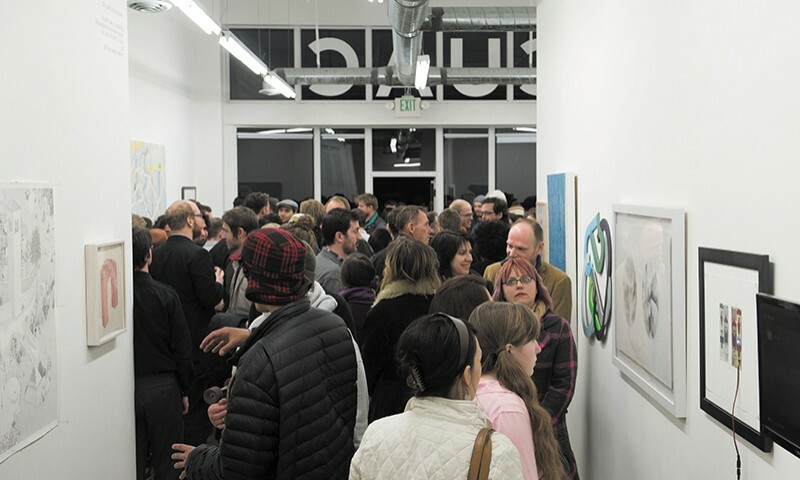 Participants receive great exposure in the Utah arts community, along with access to a global art world through the invited juror. Greene grew up in rural West Virginia and Virginia before attending BYU to earn his degree in economics. He worked for MGM Studios and 20th Century Fox before starting his own exhibition organization, Greene Exhibitions. His exhibitions have been reviewed by Artforum, LA Times, Flash Art and Contemporary Art Review Los Angeles. Awards totaling $1,000 will be given to juror selections. The show opens, in conjunction with the monthly Gallery Stroll and will remain on display throughout the month. The epicenter for everything appears to be in the middle of nothing. In the small town of Green River, Utah (population 952), an even smaller group of thinkers, creators and doers are making a big difference not only in Green River, but also in changing how we view and treasure our rural communities. In 2009, Auburn University architectural graduates, aligned with AmeriCorps Volunteers In Service to America (VISTA), came to Green River in an effort to uncover economical development solutions, improve communications and utilize the resources of this small town. Five years later, Green River boasts a vibrant business community, which meets regularly at the Epicenter to communicate, collaborate and inspire one another. The Epicenter is integral in promoting the majestic trails and tourism locations in the area and hosts a competitive artist residency program. Fellows are selected on artistic merit and their sensitivity to working in rural areas. In celebration of the work of the Epicenter and their many fellows, the Rio Gallery in Salt Lake City at 300 S. 455 W. will proudly host: The Epicenter: The Frontier Fellowship: The First Five Years, which opens March 18 with a reception from 6 to 9 p.m. and will be on show until May 13. Robert Smithson had no idea what he was giving to the state of Utah when he moved earth in a remote area along a salty lake. Today, thanks to a recent legislative decision, Spiral Jetty has been adopted as the official symbol of art for Utah. How fitting: a symbol that circles around and leads you right back to the center—Utah in the center of us all.